The always interesting Lurzer’s Archive has this fascinating look at the trend of famous, older women appearing in ads for various fashion brands. This is a welcome development as far as I’m concerned; most advertisers are obsessed with youth and targeting their ads to a younger consumer. These products presumably are not strictly trying to reach the geezer demographic. Of course, the buyers of expensive luxury brands skew older; those are typically the consumers who can afford them. But fashion brands can’t afford to be seen as being “for old people.” That would be the kiss of death. The flip side to this trend is the way products like Medicare insurance plans advertise. They wouldn’t touch this sort of thing with a ten-foot pole. Not because Joni Mitchell is a chain smoker. Or because Joan Didion is too elitist. (Well, those reasons, yes.) But mostly because these ladies are just too damn old. The clients’ reasoning for “younging up” their models is that today’s aging baby boomers are “different” and think “younger” than earlier generations. Never mind that this is a highly debatable premise when you are looking at a hip or knee replacement or living with some chronic ailment. The practical effect is that we sometimes see ads with actors who look decades younger than the 65-year-olds who are the customers we’re targeting for Medicare supplement plans and the like. There is an art to finding models who look their age but also look good for their age, not simply casting people who look ten years younger than they’re supposed to be – which is the way many clients want them to look. So I say, good for fashion brands for showing older people who aren’t trying to hide their age. Maybe brands that are actually targeting older consumers will someday catch up. The blogger Diahann Reyes has an interesting post about aging from a woman’s perspective. 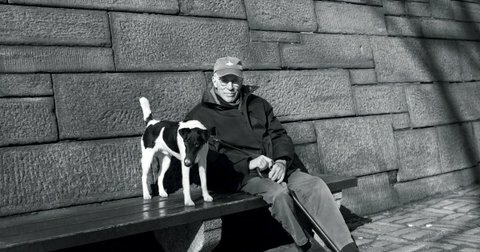 Her post recalled this excellent essay by the great New Yorker contributor, Roger Angell, who writes with his typical detail about living to be in his nineties. I found myself relating to so much of what both writers have to say. I especially identify with Angell’s discussion of feeling “invisible.” I first noticed this feeling after turning fifty. I thought I came up with the idea, but evidently not. Oh well, another sign of dementia. The Quadrant — Nomi Stone. Click here to view this amazing work that is part poem part video game. Be sure to click the links within the poem. I can’t stop reading this poem…over and over. If I should ever write a poem as good as this one, my work would be done. This poem first appeared in The Woventale Press, June 2014. Thank you to the fabulous folks at Black Fox Literary Magazine for featuring a selection of my poems in their latest issue released today. 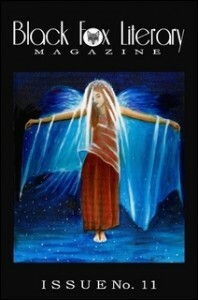 I’m very grateful to be included with so many talented writers. You can download their jam packed issue here.